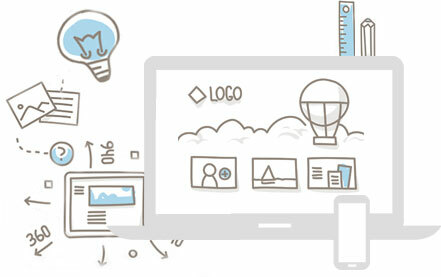 Bespoke apps built from the ground up with your business and users in mind. In 2017 UK internet users are spending 61% of time online using a mobile device and this number is set to continue rising in the future. On a mobile device over 75% of that time spent online is within an app, the other 25% attributed to mobile web usage. So what does that mean for your business? It means that if your audience will use it, having a mobile application developed for your business could be fundamental to growing your business. Alongside consumer-facing apps, we also specialise in building company apps allows your staff to work more efficiently in a number of different ways. For more information on how we can help please Get in touch or give us a call on 01225 309690. If a mobile app isn’t right for your business, we also specialise in website design for all devices including desktop, mobiles and tablets. We can build specific mobile phone apps built on iOS and available on the Apple App Store. Android App Development is growing and this is something Boson are experienced in and can help you with. Having a tailored mobile app built in our Wiltshire HQ will help speed up your company processes.